This fantastic Plot Sales Paralegal opportunity sits within one of the region's leading Commercial Property departments. Recognized across both Liverpool and the wider North West, they have an outstanding reputation for their Commercial Property/Real Estate offering. Your new role as a Plot Sales Paralegal will be to sit within the wider Commercial Property department, dealing with a caseload of your own Plot Sales transactions and Part Exchange matters. You will deal with both sales and purchase matters and be a confident paralegal/fee earner with strong experience dealing with property transactions from instruction through to completion. You will have a minimum of 2 years' experience within Property and Plot Sales, and have the passion and confidence to sit within a fast paced Commercial Property department where you will be able to provide a first class service to your national clientele. You will have the opportunity to assist the more senior solicitors and Partners within the Commercial Property/Real Estate department on more complex transactions and there exists real opportunities for you to further develop your career and gain exposure to high quality work. You'll be rewarded with a competitive salary which will be in line with your previous experience and expertise along with a very generous benefits package. 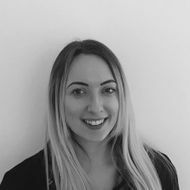 If you are a Plot Sales Paralegal or Commercial Property Paralegal with plot sales experience looking for a new challenge in Liverpool with a leading Legal 500 law firm in the city centre, please apply today or contact Izzie Gilbert. 0161 207 2000.